It was a grey and raining day so there weren't that many children attending class. Children were either sick or parents were too fearful about dragging their child through the wet weather. 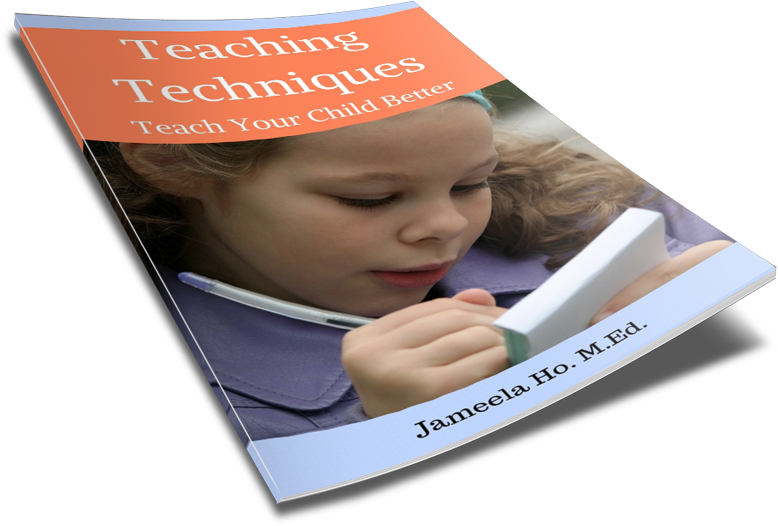 With so few children, it made it possible for me to work with small groups of them. Usually when there is a large group of children then if I do something with a few of them, all the other children will want to join in. Today, however, was a great opportunity to do something really fun without interruptions. 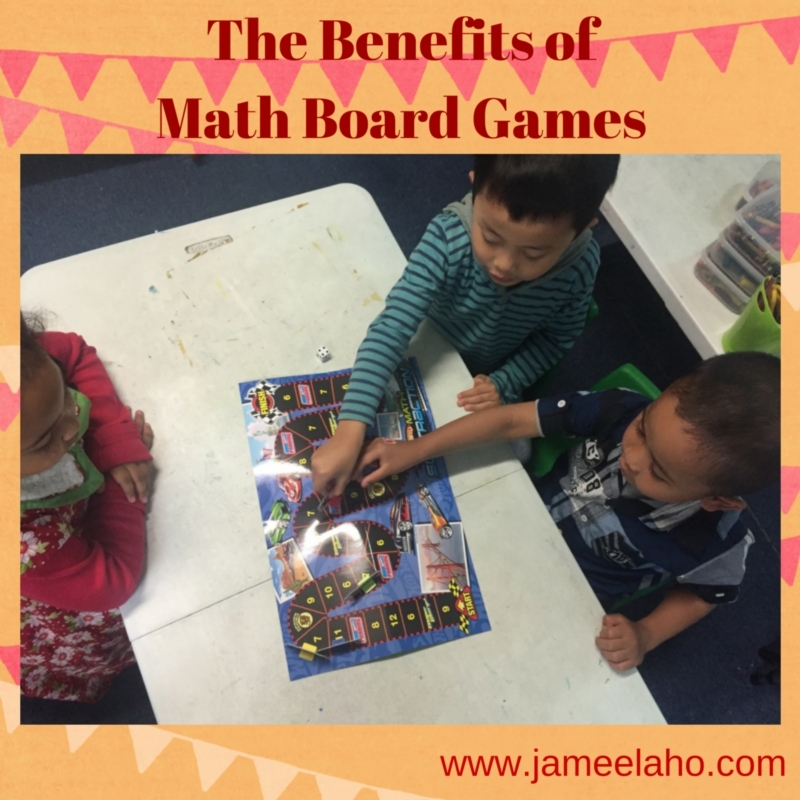 I went to the store room and gathered some math board games. The children were really excited when they saw me coming with the games and before long we were settled into playing them. These games are great because the children get to practice their numbers and mathematical knowledge. 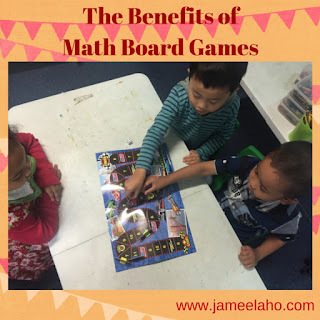 Here are some benefits of playing math board games. 1. Follow instructions by listening to directions on how to play. 2. Take turns by waiting until it's time for them to go. 3. Play together by sharing the game and experience. 4. 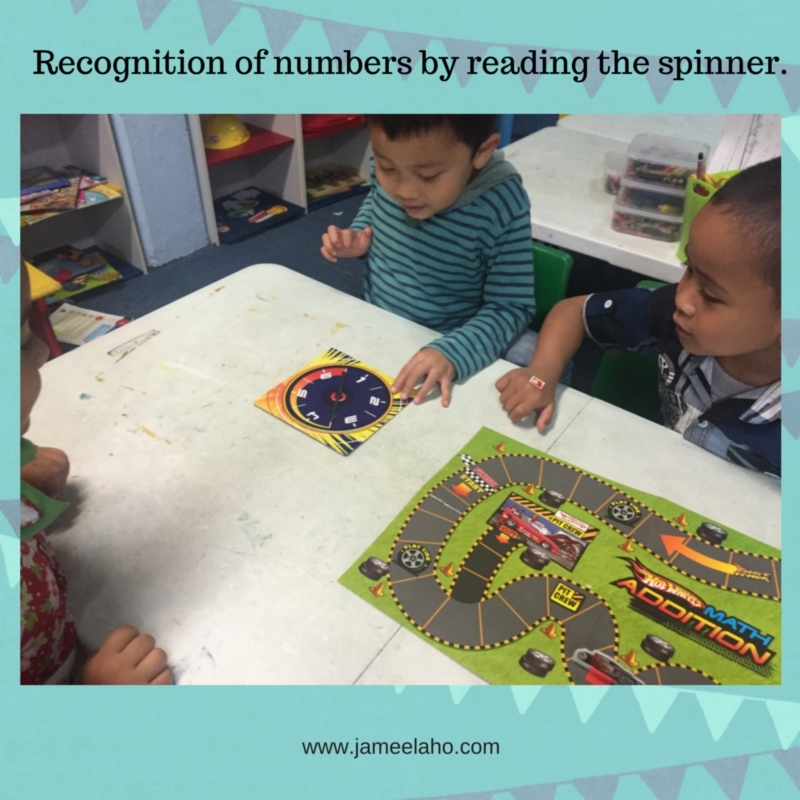 Read and recognise numbers by reading the spinners and spaces on the game board. 5. 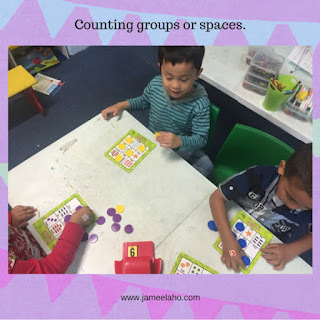 Count by counting the spaces to move or the number of items on the card. 6. 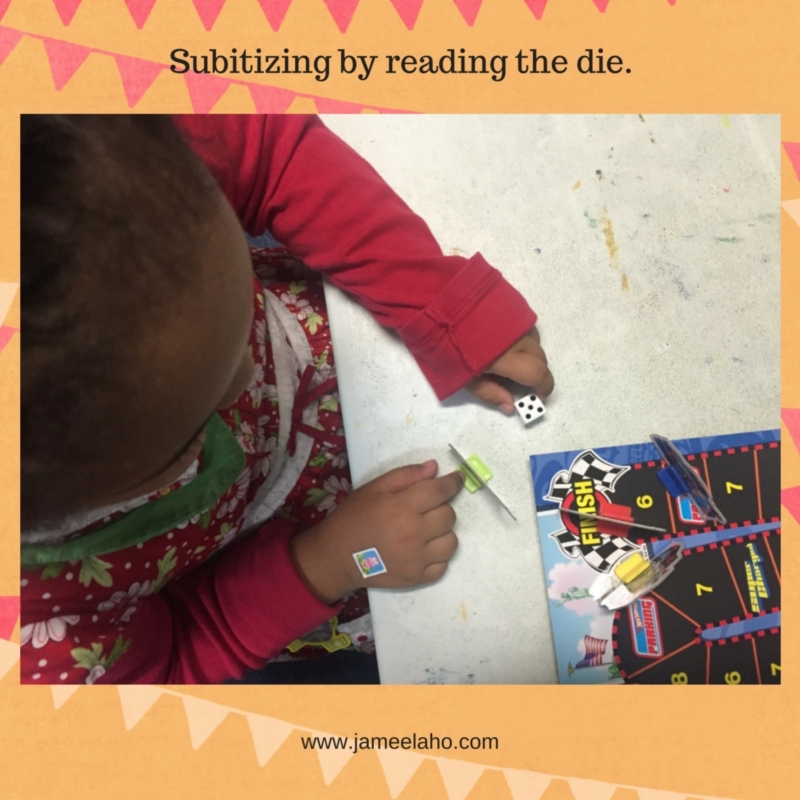 Subitise by reading the dotted dice. There are many possibilites for learning maths concepts. It just depends on what game board or game that you play with your children.